You’ll have seen I’ve been doing a little wardrobe refresh, for both myself and B. But this one is a little ASOS shop I did where everything was £40 or under. So, I thought why not film an ASOS sale haul and try on for our YouTube channel! That way I can share with you what I bought, what my thoughts are on seeing them in real life (because let’s face it, expectation vs reality can really kill a vibe!). Then I try them all on and show you how I style them! Seems simple, right? Well, I filmed a similar video last year and when I came to the edit, the lighting was off and I just couldn’t bear to upload it. So, I’ve since bought a softbox light, which means the lack of light during the winter shouldn’t scupper my YouTube endeavours. I did end up filming the try on the next day as I ran out of time, but in the end, I actually really enjoyed filming this video and think I’ll do some more! Arguably the biggest fashion trend for this Autumn Winter 17/18 is red. For me, red is a no-brainer for the winter – it’s festive and it can brighten up the darkest of outfits, and days! 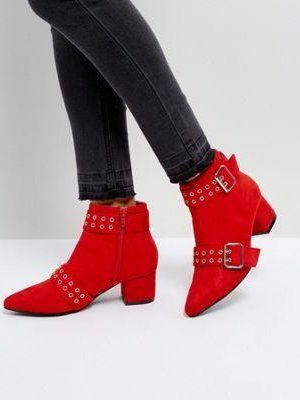 But, this season, there’s a lot of tartans and there is a real trend for monochrome red – head to toe red in different shades. Fendi did it on the runway, Victoria Beckham rocked it on the streets. 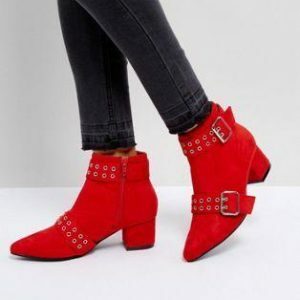 It can look stunning, but it’s not for everyone, so I’ve found some red pieces that are wearable and that dip a toe in the trend, but won’t look out of place in seasons to come! The red Balmain style jacket has been getting a lot of love. For £40, it’s about 2.5% of the price of its high-end cousin. No, it’s nowhere near the quality or the fit, but it packs a punch all the same, so I think you could class it as an affordable Balmain dupe! But, I cannot lie and deny that the lace playsuit is my absolute favourite. 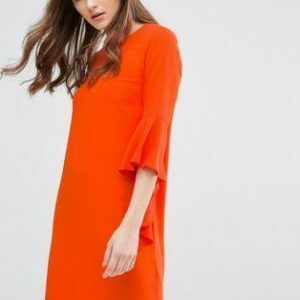 A definite Self Portrait dupe that feels amazing on and is an absolute bargain at £15, reduced from £50. It’s no secret that I love jumpsuits and playsuits, they’re one of my favourite things to wear day and night. In fact, there’s a whole post on jumpsuits and why your wardrobe needs a jumpsuit. I just find having one piece so easy and even though I’m 5’2″, they really work for me. A slightly tailored style, with those all-important pockets makes me very happy! This is going to be a favourite for a long time to come and I can’t wait to wear it. I just need an event…! I’d love to know your thoughts. 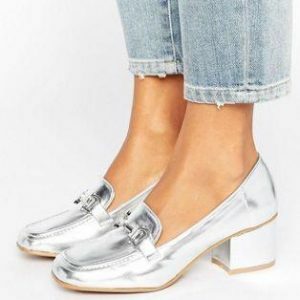 Was this an ASOS Hit or Miss? Let me know what you liked and didn’t like. Also, if you have any video requests, don’t be shy! Ooh I love these ! The boots look beautiful ,I think they are my favorite piece !! !